Let the Penny War commence! 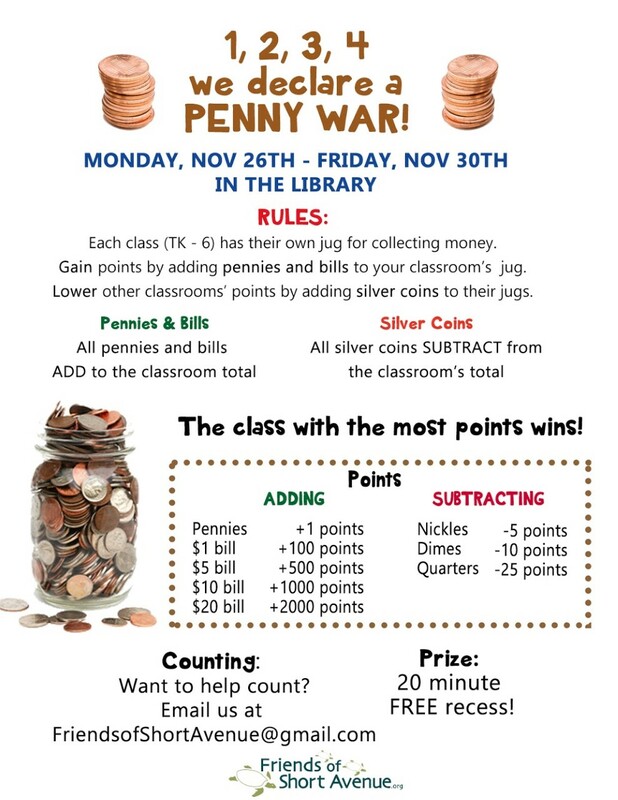 In our Penny War, each classroom tries to win this fundraising competition. Each room has a jar for collecting coins or dollar bills. The value of any pennies and bills collected by a classrooms count positively toward each class’ point total, while the value of silver coins is subtracted.